Ballet slipper charm is 3 dimensional and made of sterling silver. Weight: 1.75 grams. Measures 11/16 inch tall by 1/4 inch wide without bail. 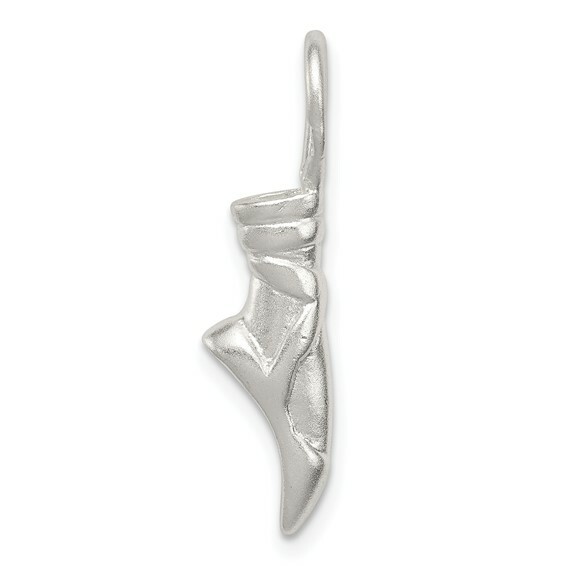 This charm is perfect for the ballerina in your life.